This photograph is from a collection bequeathed by William Kineton Parkes in 1938. Kineton Parkes was a novelist, art historian and librarian, who was best known for his writing on sculpture. 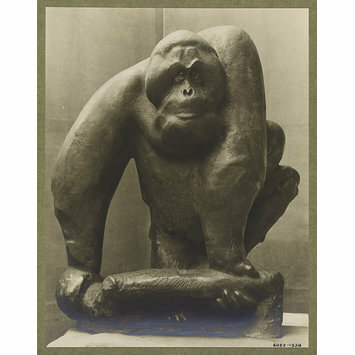 He sent out questionnaires to sculptors in the 1920s, which are now held in the Archive of Art and Design. 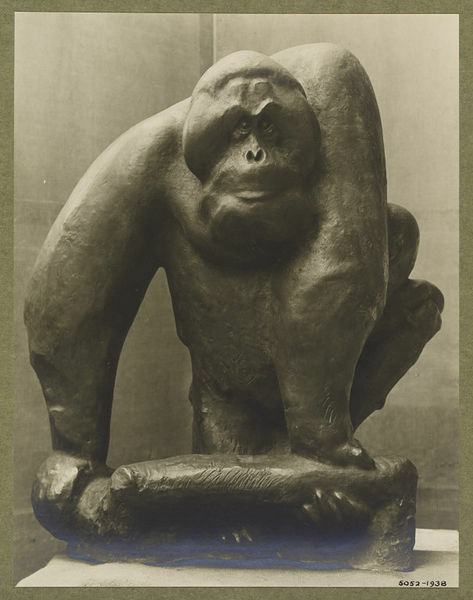 This photograph is one of many which were sent to Kineton Parkes by the sculptors he approached to complete the questionnaire.